2017 - The Daily Telegraph Homebuilding and Renovating Awards – Winner for best contemporary extension/renovation for Hurdle House. Recognition for technologies used in website to bring a unique feeling to page content loading. 2017 - The Sunday Times British homes Awards – National shortlist for home transformations of the year. 2017 - AJ Retrofit Awards – National shortlist for retrofit homes under £500,000. 2016 - Architecture Build Awards – Winner for Best Residential Architecture Firm - South England & Most Innovative South England Contemporary Design: Austen House. The 2016 Architecture Build Award recognises the exceptional work undertaken by firms in the global industry. 2016 - The Daily Telegraph Homebuilding & Renovating Awards – National shortlist for Best Extension for the Austen House. A RIBA Regional Award is given to a UK building for its regional importance as a piece of architecture. 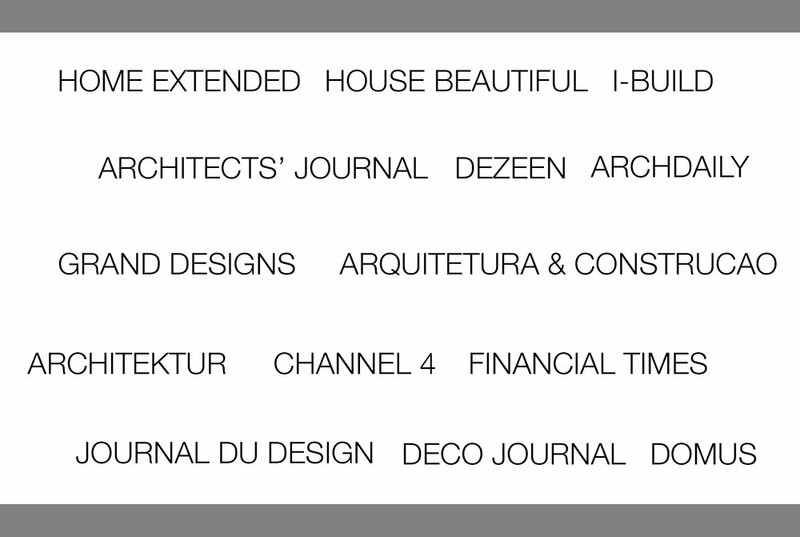 YAYA recognises the most promising new architectural practices in the European Union. 2013 - Young Architect of the Year - LEAF Award WINNER. Presented to Adam Knibb Architects for their Bluebell Pool House design. Beating off projects from the rest of Europe our attention to detail and response to the site surrounding ensured we picked up this prestigious title. Recognition for creative architecture and design.